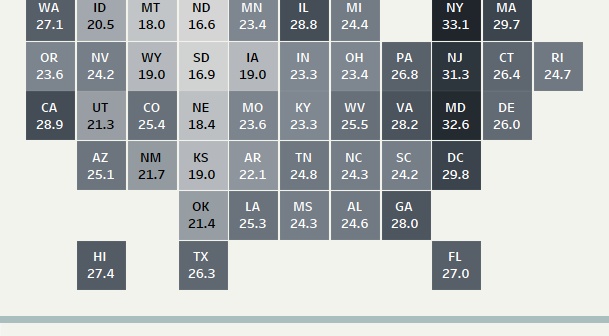 What percentage of each state’s population has a disability? 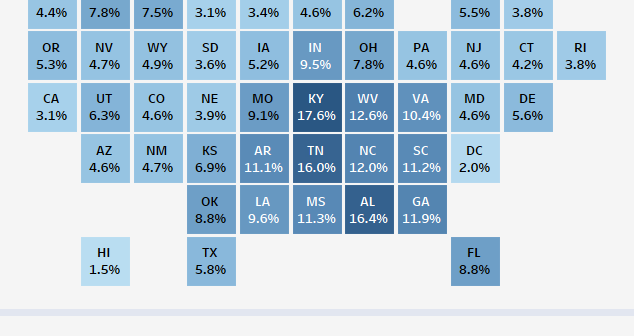 A look at the number of Americans in each state that have a disability. A look at how many of the residents of each state were born there. What percentage of the population claims American ancestry in each state? A look at the number of Americans that say their ancestry is “American” in each state.